Chicken Milanese is one of the signature dishes of Milan Italy. 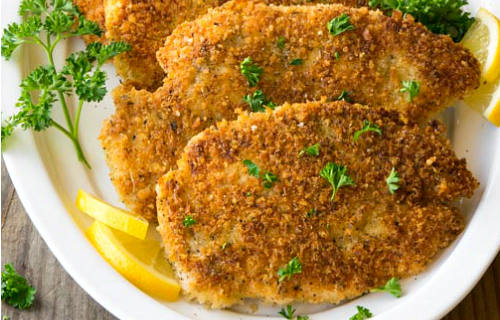 Thin cutlets of chicken, breaded and cooked until crispy golden brown make Chicken Milanese a simple to make family favorite! 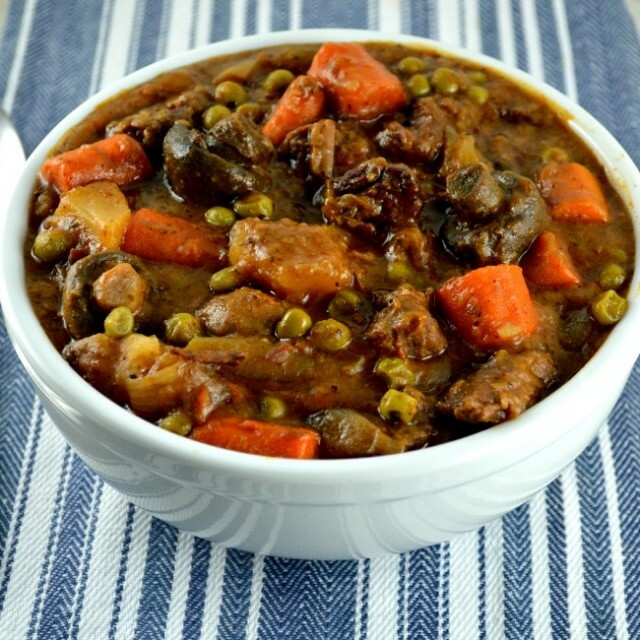 Pin it to your DINNER BOARD to save for later! I’m all about simple, versatile, and crowd-pleasing when it comes to meal-making, and this Chicken Milanese has it all. A thin piece of chicken gets cooked quickly – to crispy perfection, seasoned with a bit of nutty parmesan and Italian seasoning. It’s great gilded with sauce or served as-is with a little squeeze of lemon. Picky kiddos will think “chicken tenders” and adults will relish in the crunchy simplicity of a juicy main. What is Chicken Milanese? Well, it means chicken Milan-style (as opposed to another Italian city), which is basically a chicken cutlet that’s dredged in a two- or three-step breading process, then pan-fried. It’s usually served au naturale with a simple salad, though roasted potatoes or a pasta side aren’t unheard of (this is an Italian dish, after all). Fried cutlets aren’t anything new, nor are they the brainchild of one and only one country or area. The things that differentiate one from the other are the type of meat, breading, and the frying technique. Although the meat choices include them all – beef, chicken, pork, and veal – they’re always sliced or pounded thin. This helps ensure a perfect crunch ratio in each bite. Ever nibbled all the crispy stuff off a piece of fried chicken, only to be left with sad, naked chicken (there’s actually a “Friends” episode that laments this exact dilemma)? Thick, bone-in chicken is the perfect choice to oven-roast, grill, or use in a braised dish like Chicken Vesuvio, but in this recipe, those thick pieces would leave too much meat without any breading and limit your ability to really get your crunch on. Vienna’s famous schnitzel is a sibling to our Milanese Chicken (though some argue one was actually the parent of the other), but it’s generally made using veal (weiner schnitzel) and is often cooked in lard. 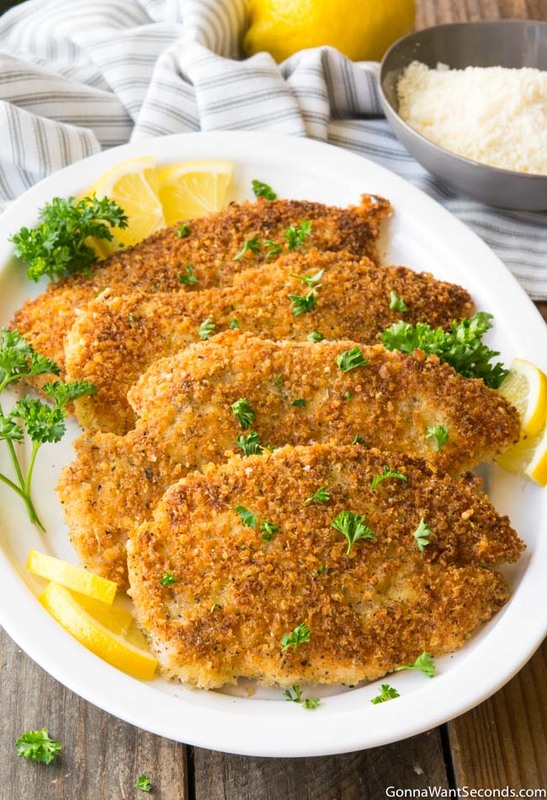 Milanese-style cutlets are usually pork and cooked in butter, olive oil, or some combination of the two (there’s also parmesan cheese in the breading). Breadings can range from a light dusting of flour, like you’d use to make Chicken Scallopini, to a complex multi-step process. My recipe uses a simple, three-step series of flour, egg, and breadcrumbs to create a substantial crunch. Even specific to Milanese cutlets, there are still some breading preferences, like skipping the flouring step. Eggs or an egg wash (made by diluting the eggs with water or milk) isn’t optional, though, since it’s quite literally the glue that holds this recipe together. I don’t think my eggs at all because the thicker the eggs, the more glue there is to hold onto the breadcrumbs, which ultimately means a thicker crust. 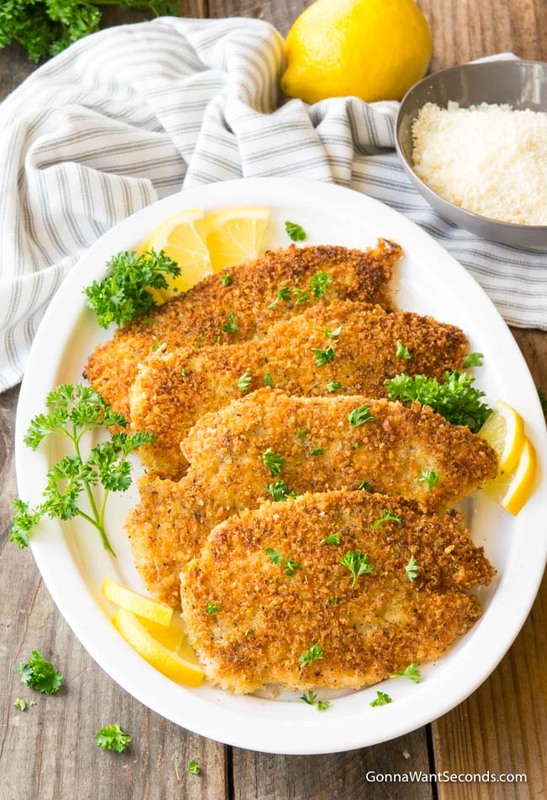 Some recipes, like the chicken Milanese Pioneer Woman makes, use traditional store-bought breadcrumbs, while others, like the chicken Milanese Giada de Laurentiis makes, uses fresh breadcrumbs. I like to use Japanese panko (“pan” meaning bread and “ko” meaning small pieces) to produce a really epic crunch. Fun fact – authentic Japanese panko get their enviable texture from a loaf of bread cooked in a “shocking” way: with electrical current! The process was invented during WWII when the Japanese had limited fuel and wanted an alternative, heat-free way to make bread. No heat, no problem! When the dough’s ready to bake, it’s loaded into metal containers and shocked, creating a unique crustless loaf of bread. If you’ve never worked with panko, they’re sliver-shaped, not round-ish like most breadcrumbs, and they don’t have any additional oil, both of which make the end product light and airy and ultimately less heavy than a smaller, denser crumb. I like to cook the Chicken Milanese in a butter/olive oil combo to help increase the smoke point of the butter a bit (to prevent burning our covetable cutlets) while still retaining the butter flavor. You can only fit a couple of chicken breasts in your skillet at a time, so I recommend keeping the already cooked batch(es) in a low oven (around 225 – 250 degrees) so they’ll stay warm for serving. If you place them in a pan that’s been fitted with a cooling rack, they’ll stay extra crispy. With Chicken Milanese sauce is optional. You don’t want something heavy like a cream sauce or else your crunchy cutlet will become a soggy sauce-carrier. Save the cream sauces for Chicken Florentine and stick with just a few tablespoons of a simple fresh tomato sauce or a quick lemon butter sauce with a splash of white wine. You can also go the more traditional route and top this Chicken Milanese with arugula, dressed a bit with some olive oil, lemon juice, and a little salt and pepper. 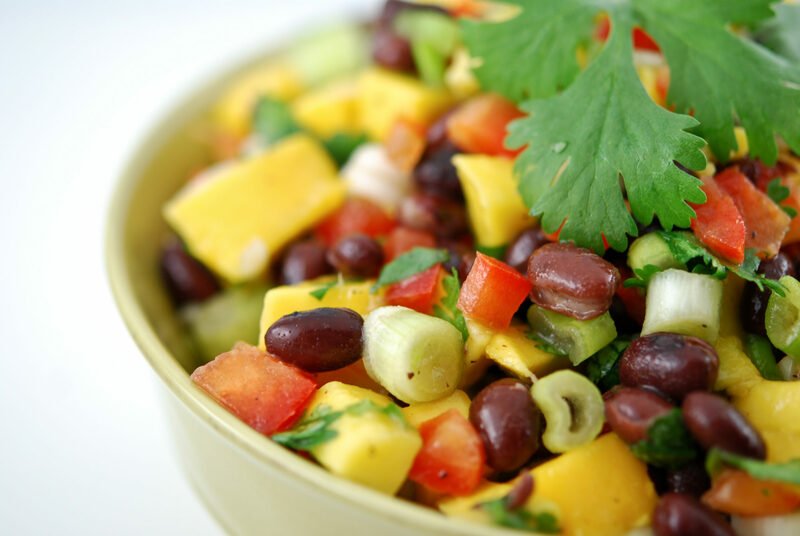 It makes a perfect lunch or light dinner. Even as leftovers, you can use these cutlets to make chicken parmesan or a Chicken Milanese spaghetti, either served on top of the big pile of pasta or on the side (like the chicken Milanese Jamie Oliver makes). 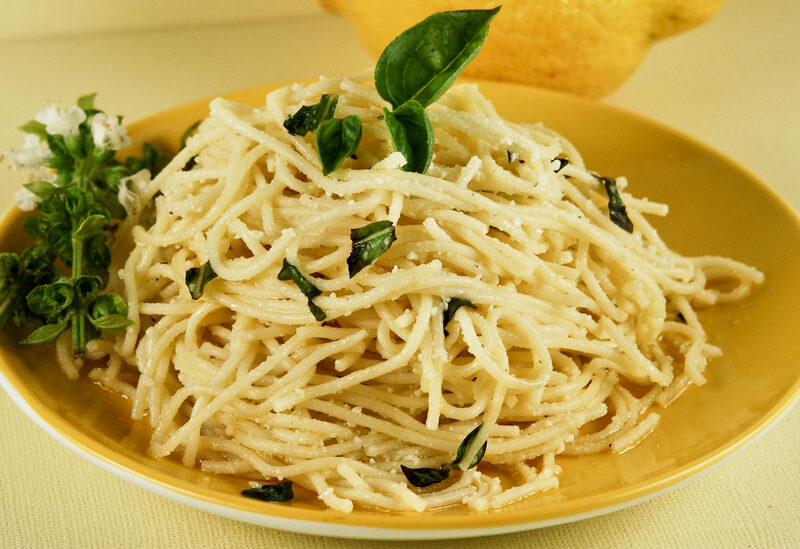 A few curls of freshly grated parmesan will top off the dish perfectly, and you can add a little fresh basil for color. This is definitely one of those 30-minutes-or-less meals, and everyone will be impressed you pulled off such a winning dish on a hectic weeknight! 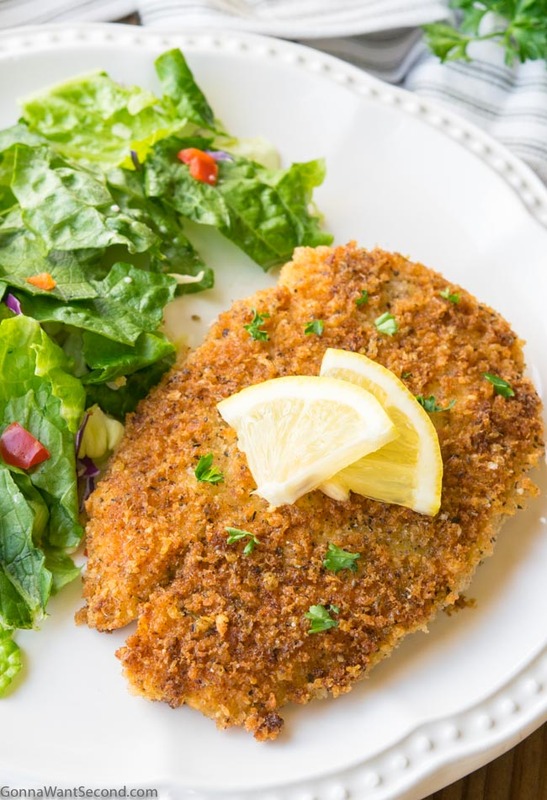 Our classic Chicken Milanese recipe makes an easy Italian dinner that your family will love. Serve with arugula salad and spaghetti and you'll have a new hit in your meal rotation! In 3 shallow dishes, add the flour to one, the eggs to another and the bread crumbs combined with the Parmesan cheese and dried Italian seasoning to another. Heat I tablespoon butter and 1 Tablespoon olive oil in a large nonstick skillet. Add 2 pieces of the chicken and brown until golden, 2-4 minutes per side; remove to a plate. Add the remaining butter and olive oil to the skillet and repeat with remaining chicken. Garnish chicken with parsley and serve with sliced lemons. Check your chicken – I like to start by buying thin cut chicken breasts, sometimes called scallopine cut. If you can’t find these at your local market, though, simply place your palm flat against the top of each chicken breast to hold it steady, then cut each breast in half horizontally. Whether you bought it or sliced it yourself, you still may need to pound the chicken breasts a little. You’re looking for ¼-inch, even thickness. Starting with thin cut chicken just makes the pounding easier and less arduous. Forget the fryer – Although frying isn’t the healthiest choice, pan-frying still means fewer calories than a deep-fried recipe. 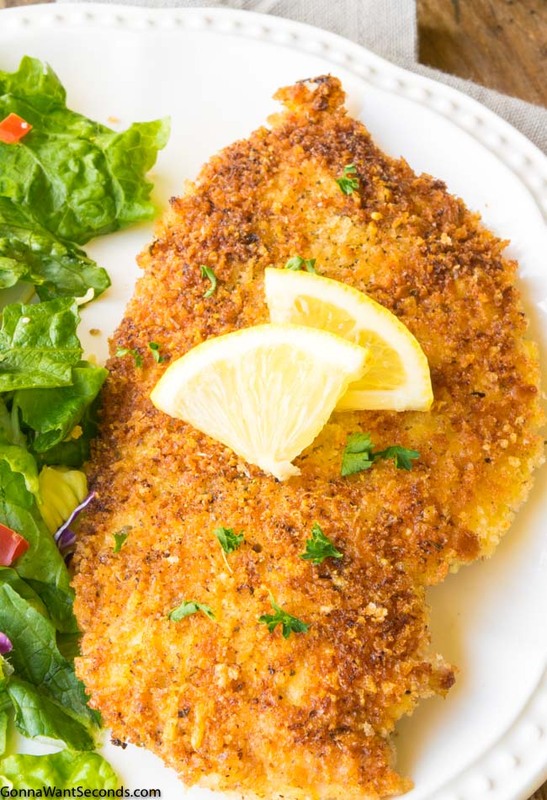 If you want to reduce the Chicken Milanese calories, though, you can skip the stovetop and make a baked Chicken Milanese. You’ll need to prep a large, rimmed baking pan with a rack (I like to line the pan with foil too), then place the breaded chicken breasts on top of the rack. Bake in a 425-degree oven for 10 – 15 mins (without turning). Baked Almond and Rosemary Chicken – Infused with an aromatic flavor and coated with a nutty texture! Chicken Lazone – Spice up dinner with Chicken Lazone. Deliciously seasoned and covered in a rich sauce. Made in one pan with very little prep. 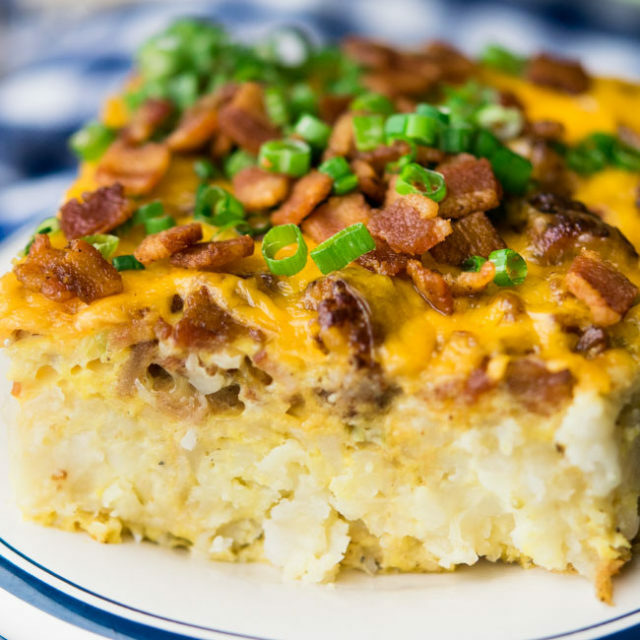 Great weeknight comfort food! Italian Stuffed Peppers have a meaty stuffing bursting with classic Italian flavors, marinara sauce, and cheese all packaged up in a sweet bell pepper! Creamy Tuscan Garlic Chicken – smells like Florence and tastes like heaven! 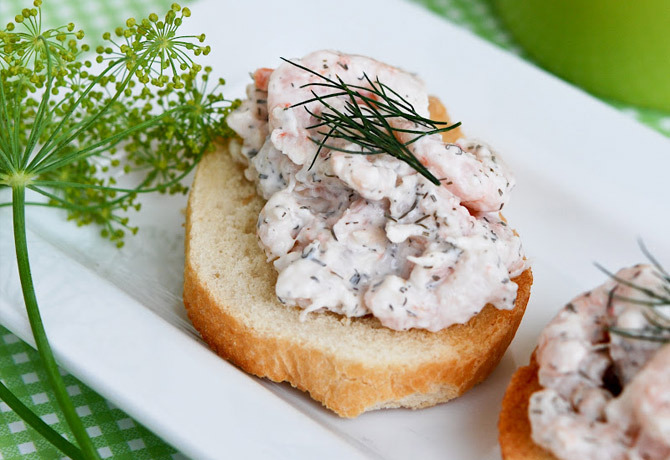 Rich and filling, it’s perfect for long days and special occasions! Italian Chicken – This recipe for Italian Chicken is so juicy and flavorful, you’re sure to use it as a go-to weeknight recipe! Moist, and juicy with a taste of Italy. Italian Dressing Chicken – Move over chicken parm, our Italian Dressing Chicken packs in Italian flavors & takes 5 minutes to assemble! 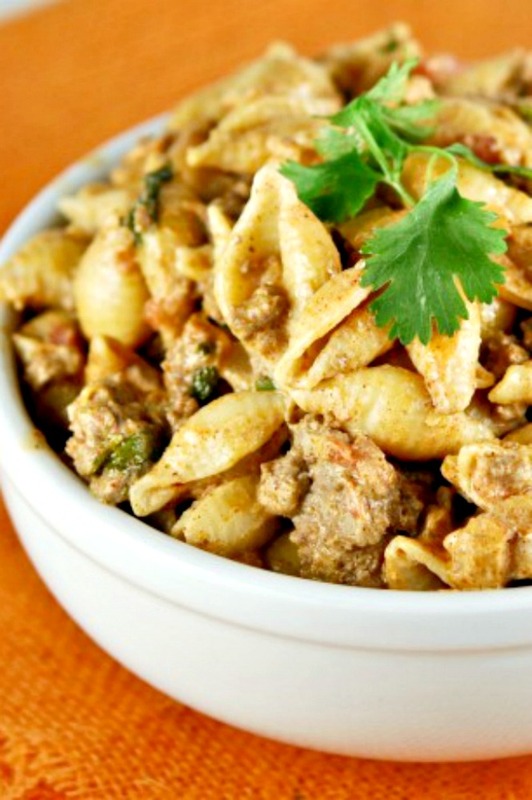 Add pasta & veggies for a quick midweek meal! Italian Pasta Salad is potluck and picnic ready! Surprise your friends with a peppadew and pepperoncini juice dressing over a tangy penne salad. This was both easy and delicious! Not wanting the same “old” chicken for dinner, this was a quick and easy fix. 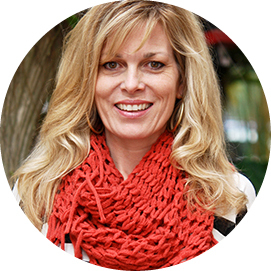 Glad you enjoyed this recipe Kimberly, I hope you check out more of our quick and easy chicken recipes. Thanks for sharing with us!